We've got another old(er) tape! Not super old, but, hey, we take what we can get. 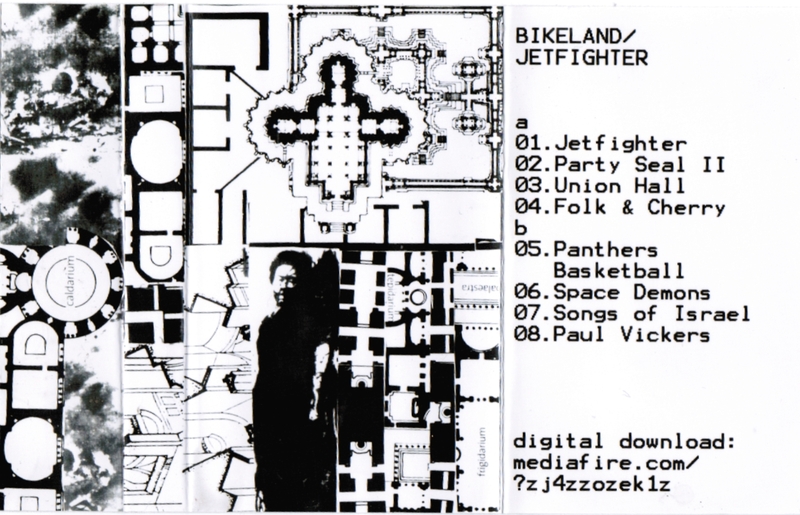 We remember seeing Bikeland when they were active in 2010 and being kind of perplexed by their noisy chaos. Having the benefit of having seen/heard Clarke Alan Macleod's later work with Ashley Soft has helped us put this into perspective, and we get what's happening here now. The angst-filled shouts, noisy bursts of guitar and smashing drums come together just enough to draw you in. And then kick you back out. 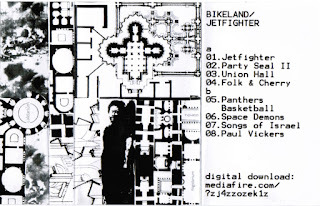 Somehow Bikeland's music lives on over at bandcamp, where you can grab the download of this tape.